MAG and VIPCA working together to with VI youth. 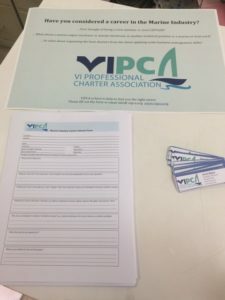 VIPCA meets with the Marine Action Group to discuss the initiation of a marine job fair providing career guidance in the marine industry to Virgin Islands Youth. Previous Previous post: Excise Taxes on Boats, what do they mean? Next Next post: Regulations: accurate, timely and simple.